My main motive for writing this IMVA letter today is that twice now I have forgotten to put in the link to the Rejuvenate line of superfood medicines that double as survival food. People have been writing me asking though it seems many are following my advice anyway. Not everyone is as fortunate as I am in having a Sanctuary in the interior heartlands of Brazil to retreat to. It is a place so far from civilization that I feel confident my family and I could survive a civilization collapse since we are surrounded by farmers. 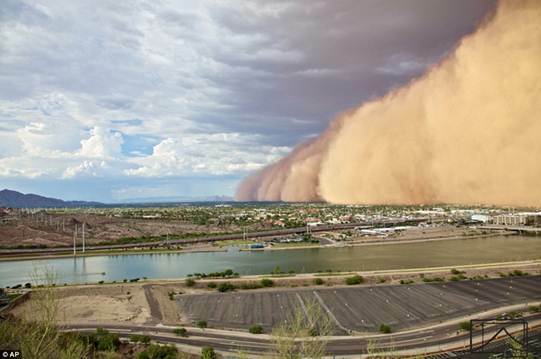 This is what the people of Phoenix had to face for the second time recently. So the best I can do besides teleporting my loyal readers, whose trust and love for me graces my life, is turn them on to Dr. Hank Liers’ superfood spirulina- and chlorella-based formulas that are truly remarkable in terms of taste and healing horsepower. The second best thing I can do is to continue to give out wakeup calls. I feel sorry for all the people who cannot see the handwriting on the wall because they will suffer a shock from which they might not recover when it all hits the fan. India is getting a large-scale lesson ahead of other nations as their power grid goes off line for a second day leaving more people in the dark than live in all of the Americas. India suffered its second huge, crippling power failure on Tuesday, depriving as much as half of the vast and populous country of electricity and disrupting transport networks. That’s approximately 620 million people or almost one-twelfth of humanity without power. 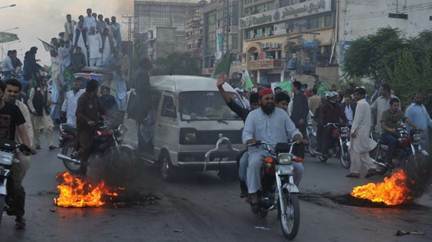 And now we read that a prolonged and widespread power outage in most of Pakistan’s cities during scorching summer heat has triggered violence as citizens took to the streets to protest the tough living conditions. Angry mobs reportedly attacked offices of the power supply department. On Friday, a powerful storm hit some of the country’s power plants, including one of Chashma Nuclear Power Plants and three other plants in Muzaffargarh, causing them to go fully or partly offline. It actually took a lot of courage for me to leave Sanctuary a month ago to come back to civilization but we had to do that because of all the work that needed to be done. Our Internet was slow beyond belief though with my multitasking abilities I could manage, but the rest of my team, namely my wife and son, could not. My wife joked with me about saying it would have been easier to move a mountain then get me out of my Sanctuary. I am lucky enough to be surrounded by many good people there and here back in Joao Pessoa. I was able to leave the place in the hands of my builder/partner who is continuing without my presence. We hope to open at the very end of the year though our first paying guest arrived from Europe just the other day. My wife Luciana is attached to our lives in civilization and I love her so much that I will not trap her at the ends of the earth until it is absolutely necessary. So the idea for now is to operate Sanctuary 12 months a year without our presence as a retreat center, spa, vacation and conference center; a place where people can practice my Natural Allopathic Medicine Protocol and have full support for that. We can do groups when we do want to be there but in reality I feel that life will not support for a while life in the big cities. Perhaps here in Brazil it will be easier for we have better conditions than most other places. But the world is now an interconnected whole and what happens on the other side of the earth these days will have its ramifications wherever we are. This of course is going to be evident in a most powerful way as food crops are destroyed by extreme climate conditions. Nothing is going to hit us harder than this though we can easily imagine, if we care to spend a few moments doing so, a perfect storm of events that simply overwhelms the civilized world. Obviously in India and America the infrastructure is not built to withstand such extreme weather. If there was ever a time to turn survivalist the time is now. 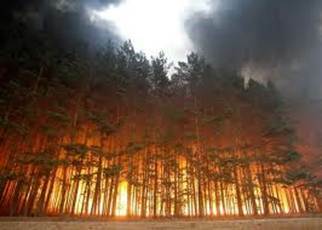 News from Russia is adding bad news to the already catastrophic crop conditions. Russia is currently in the grips of an extremely strong heat wave. Only last year Russia was the world’s third-largest grain producer but this country is now suffering colossal damages. Conditions there threaten to destroy 10-15 million tons of crops, reducing significantly what they will have available for export to an increasingly hungry world. Special Note of Thanks: Our team is expanding and soon we will launch DrSircus.com and simultaneously start publishing in other countries and languages. Many people have responded to my request for help though I cannot yet image all the new responsibilities and extra concentration that will be needed. 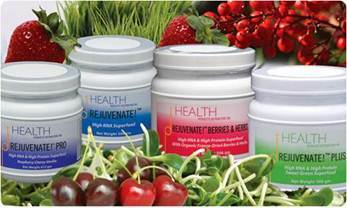 Again here is the link to Rejuvenate. I have made a great effort to identify therapies, substantiated in published scientific literature, all of which are cutting-edge treatment strategies, to identify the most important, powerful, safe, necessary and effective therapies—all of which of course are routinely overlooked by mainstream oncology, which prefers to slash and burn with exceptionally dangerous and harmful treatments. In my upcoming book, Treatment Essentials,one will find all my product recommendations and endorsements. The products I endorse are the best I’ve found, all of which I use for myself and my family. I have developed a reputation through the years for consistency with medical truth—which depends on a noncommercial approach to life and medicine. People trust me because I do put truth in front of everything else, even in front of my life since historically it’s the truth tellers that get taken out first. Companies promoting foods and supplements are seldom if ever allowed to showcase the specific health benefits resulting from the use of their products. The mean-spirited FDA deems food and supplements as drugs if they are marketed with health claims. Few have the nerve to cross them because they are fascists and will charge in with the “brown shirt storm troopers” complete with heavy weapons. I am able to write freely while offering the established research that sustains my conclusions. I have kept to the basics though—to basic substances and medicinals that universally have been proven in the scientific and medical literature through decades of research. 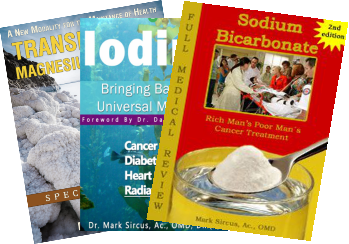 Writing books about magnesium, iodine and sodium bicarbonate was actually easy because the research is so deep and broad about these substances. Because I live in Brazil and am surrounded by third-world people who cannot afford high-cost items like saunas and other things, I do not usually write about them. But for sauna equipment I do know the best company with the best product for that in the states and finally after all these years am linking to them right here. Sauna is an essential aspect and facilitator of detoxification though it is a luxury that only a few can afford. In nature we can build simple structures and the American Indians even used their tepees for this purpose. I was disgusted to learn a few weeks ago that in my wife’s home city, Rio de Janeiro, the type of doctors everyone hates passed ordinances that banned all homebirths and the work of all midwives and doulas from working in hospitals, effectively forbidding them completely from working. They went even as far as forbidding doctors from doing homebirths. I have about zero respect for pediatricians and for obstetricians; here in Joao Pessoa private doctors deliver 98% of their babies through C-sections. I am very happy to tell you that the medical boards that supported this move were slapped down by the State that told them exactly where to go. Most of these doctors should be seen as an abomination against God lying in wait as they do for incoming pure beings that need to be treated with love, not medical and pharmaceutical terrorism. Instead of the Catholic Church going after witches these doctors love to ambush midwives and doulas that are infinitely better suited to bring the most precious beings to our planet. Doctors tend to be arrogant bastards and that is why most of us like to joke behind their backs knowing as we do that we will live a lot longer and be much healthier the more we can avoid their offices.